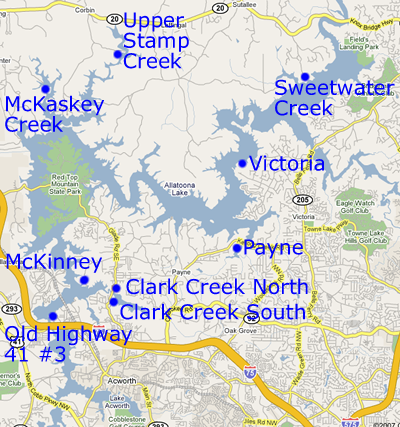 Campers will be happy to know there are plenty of Army Corps of Engineers-managed spots to choose from at Lake Allatoona Campgrounds. Pop up a tent or back in your village-sized third wheel. As long as you get outdoors and smile at your neighbors, everything will be fine. The links below have details on each site’s Amenities, Fees, Special Rules, Directions, Reservation Information, Contact Numbers and other vital data. We’ve provided everything you’ll need (except bug spray and suntan lotion). Camping is the best way to find yourself and fall in love with the outdoors … and one another. Don’t worry about meeting a bear in the woods, but you should probably brush up on the proper etiquette, just in case. Another very popular camping option is Red Top Mountain State Park. 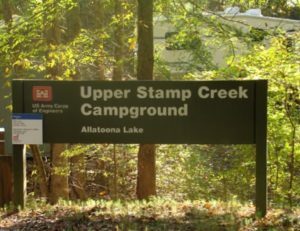 State, county, and city parks also have camping, such as: Bartow County’s Gatewood Park.